Rabbi Ysoscher Katz has been quite active on Facebook with short hundred word glimpses into his ideas. Here is a guest post by Rabbi Katz turning these epigramic statements on current events into an actual article. Rabbi Ysoscher Katz received ordination from Rabbi Yechezkel Roth, dayan of UTA Satmer. Rabbi Katz studied in Brisk and in Yeshivat Beit Yosef, Navaradok for over ten years. 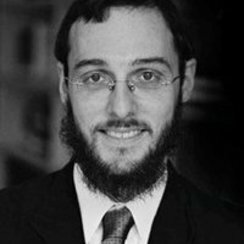 He is now the director of the Lindenbaum Center for Halakhic Studies at YCT and Rabbi of the Prospect Heights Synagogue. For his earlier activity on this blog, see here and here. This very personal essay conveys Katz’ sustenance and continuity with a real Hasidic community, his definition of Chassidism, his disregard for history and philosophy, and where he sees Chassidus as a resource for today, especially as imminent within one’s social life. When you get to the end, reread the first page to see how the end positions flow directly from his autobiography at the beginning. I was raised in the chassidic community of Satmar. I should make it clear from the outset: I am modern but not Orthodox. Do not get me wrong, I am observant and my practice is orthodox but that is not who I am. In other words, I am orthodox-my practice is halakhic and my belief orthodox-but Orthodoxy is not me. It is not an integral part of my identity. My orthodoxy is merely a means towards a religious end. Keeping halakha and accepting orthodox faith-claims provides me with the infrastructure which allows my soul to strive and pursue perfection. Orthodoxy enables me to be who I really am: a Modern Chassidish Jew. As I mentioned, my identity is comprised of two parts, Modern and Chassidish. I inherited these identity markers from my parents, the modernity from my mother and the chassidut from my father. Here, I mean real Chassidic, and not Neo-Chassidic. How my chassidic, homemaking and sheitel-wearing mom made me modern is a conversation for another time. At the moment I wish to focus on my dad. My father is the most non-chassidish Chassid. He does not study “chassidus,” nor does he want to “understand” it. The few times I tried to explain to him Moshe Idel’s distinction between theosophy and theurgy, his eyes glazed over. Chassidut is what he does, not what he learns. From his perspective, Torah is for learning, chassidut for practicing. His aversion is not limited to the study of academic mysticism. He also stays away from traditional kabbalistic or chassidic texts. He never studied the Zohar nor did he ever read any of the Arizal’s writings. Not only would he not read them, he also would not touch them. He is so intimidated by their sacredness; he fears that his touch would contaminate them. Yet, despite never having formally studied chassidic texts, he still is the quintessential chasid. Chassidut is his essence, part of his religious DNA, but it is a chassidut that is behavioral, not intellectual. Chassidut is how he lives his life. It is the prism through which he encounters the world and the ethos by which he lives by. He adores his wife, loves his children, cherishes his community and reveres and respects his neighbors and fellow human beings, Jew and non-Jew alike. While this practice is not special, many people love their family and surroundings, its flavor is unique. It is Chassidic love, deriving its passion from the Chassidic teachings he has absorbed throughout his life. These teachings have filled his being with a deep religiosity, which, in turn, infuses his actions and emotions with a deep and robust spirituality. His love of humanity is, therefore, a love that is sensualized by its spiritualized valance. Chassidut does not just spiritualize my father’s interpersonal relationships, it also enhances his religious practices, particularly the yearly calendar. Chassidut allows him to infuse the annual cycle with a sensuous spirituality. Hungarian Chassidim are nourished by an elaborate “sacred calendar.” They have more days of note than the conventional Jewish calendar, and their holidays tend to be richer than your typical modern Jews’ chag experience. A Satmar Chasid’s year is thus replete with days of deep joy and periods of intense reflection. While the Jewish calendar has several biblical holidays and two Rabbinic ones, the Chasid’s calendar records additional dates of importance. Every winter, the Hungarian Chasid has six to eight weeks of “shovavim,” a period that usually falls sometime between Chanukah and Purim, which is dedicated to repentance and introspection, largely focusing on sexual impropriety; the days of awe continue through the end of Chanukah, the potential for repentance lasts for them for two more months; Purim celebrations begin three days earlier than usual; and (a modicum of) Pesach extends all the way to Shavuot (based on Nachmanides’ notion that the interim weeks between Pesach and Shavuot are somewhat akin to a chol ha’moed of Pesach). Combined these add up to a significant number of additional days of awe and periods of celebration. Qualitatively, chassidic holidays are different as well. Although many things distinguish a chassidic chag, there is one distinction that is particularly noticeable to the keen observer: chassidic religious celebrations are comprised of a dissonant blend of joy and contemplation. Shabbat in Satmar is an incredibly meaningful day, bookended by powerful contradictory modes. Friday night is a time of joy, where the spiritually and mystically rich Lecha Dodi chant inspires celebration of the metaphysical significance of the day. While this spirit carries through most of the Shabbat, towards the end of the Shabbat the Satmar Chasid shifts gears, switching modes from the celebratory to the reflective. This transition occurs in a much starker manner than it does in most other communities. A Satmar Shabbat never ends at “shekiah.” Sehudah shlishit is always a two hour affair, spent singing and listening to the Rebbe’s dvar torah. Speaking in highly evocative tones, he expounds on the weekly reading, spending close to an hour challenging and rebuking his followers. Growing up, this is exactly what Shabbat looked like for me. My dad’s Shabbat was intense and complex. While the day began upbeat, it gradually shifted into the contemplative. But, my father’s Shabbat, like his chassidut, is adamantly experiential, text and study play a minor role in the development of his religious persona. Kegavna (a section from the Zohar which Chassidim recite during Friday night prayers), is one of the most powerful kabbalistic liturgical texts. Utilizing the connection between Shabbat and the number seven, a prominent kabbalistic trope, it succinctly articulates the mystical value of Shabbat. It emphasizes that Shabbat is a day of heightened divine intimacy and advanced mystical union. I have begged my dad on many occasions to read this Zohar text with me. He refused each time. Sacred mystical texts are for the elite. The lay receive their nourishment residually, from the spiritualized environment created by those qualified to access those recondite sources. While he will not study Kegavna, he does recite it every Friday night as part of the Kabbalat Shabbat service. Notwithstanding that he does not fully grasp its meaning, he reads it with the pathos and passion it deserves. Kegavna’s power for him is metaphysical, not intellectual. Purim provides another example of the intensity of Hungarian chassidic practice. Many Jews celebrate Purim, but not the chassidic Purim. The chassidic Purim is unique in its richness and multiplicity. Communally, preparations for the holiday start early. More than a week before Purim, one can already detect the arrival of the holiday, both, in the discourse of the scholars and activities of the laity. The learned discourse focuses on the legal and spiritual aspects of the chag, while the public sphere is filled with people making arrangements for every aspect of the day. When Purim finally arrives, it takes on a distinct theological flavor. Appropriating the Zoharic notion that Purim is analogous to Yom Kippur (Yom Kippurim), Satmar Chassidim created a unique Purim blend that is both frivolous and somber. This day of festivity is overlaid with practices of repentance and reflection. While I am nourished by my dad’s behavioral Chassidut, personally it is not enough. Behavioral Chassidut gladdens my heart but does not stimulate my mind nor sufficiently satisfy my soul. I personally seek a religiosity which nourishes both pillars of my being, the mind and the heart. My personal journey is, therefore, informed by a combination of my father’s passion and the academic’s sophistication. Chassidus resonates with both of them, sometimes simultaneously, when the intellectual engagement and behavioral spiritual encounter complement one another, and sometimes separately, when I religiously shift back and forth between the intellectual and the experiential. Ultimately, the attraction to Chassidut is the fact that it can operate in different modes at different times, in the process offering up a variety of mechanisms to help spiritualize my life. It is precisely this multifacetedness which convinces me that Chassidut is the proper theology for us moderns. Its theology is perfectly situated to offer meaning and spirituality to the contemporary modern seeker. I feel strongly that it is our only hope. Chassidut today is not a luxury, it is a necessity. If the Torah-u’Madda project is to succeed Chassidut needs to become an integral part of its curriculum. 1) Truth. We live in a post-modern world where objective truth is rejected and absolute claims are frowned upon. I would go as far as to say that rationalism (in the general and colloquial sense) as a source for Emunah is bankrupt, it increasingly speaks to fewer people. It, therefore, behooves us to come up with alternative models. Chassidut could very well be that alternative model. However, during those rare occasions when they do pay attention to the biblical “stories,” their orientation is a-rational. They absolutely “believe” those stories, but their belief is internal: it is true because it happened in the Torah. That is where these events transpire and that is where these stories matter. Asking about their historicity is, as far as they are concerned, foolish and missing the point. At the same time, to the extent that the biblical narratives have religious and theological significance, they read those stories through the Rabbinic lens. So, for example, while Moshe’s historicity is not historically relevant to them, his persona carries theological and ethical significance. The same is true for God’s attributes. Chassidim are, by choice, apathetic about God as a scientific reality, his attributes and characteristics, however, are theologically highly significant to them. For that they did turn to the Bible, but the encounter with the Torah is filtered through Chazal. They see Chazal as essential to the understanding of the Torah. As believers in immanence they actually see the Sages as much more integral to the experience of the written Torah than the rationalists did. They did not think that the presence at Sinai (mamad har Sinai) ended at the giving of the Torah (mattan Torah). For them the Torah is perpetually and continuously revealed. The modern reader of chassidic texts would, therefore, not have to decide whether they scientifically accept these postulates in order to engage with them. Chassidut’s goal is instead to describe an immanence which provides spiritual and emotional transcendence. Chassidut (informed, of course, by kabbalah) promotes a sophisticated immanence which results in a dramatic shift in Judaism’s orientation towards God and His commandments. Prior to the emergence of chassidut on the historic scene, theology was convincing and Jewish observance was rewarding. Chassidut changed that. Chassidic theology offered meaning and kabbalistic observance provided sanctity. Personally, my rejection of the Maimonidean ethos and realization of the degree to which chassidut can speak to the modern searcher was a long and arduous process. It came about as a result of a deep sense of betrayal by Maimonides, the champion of Rationalist Judaism. I for many years was the object and fool of Maimonides “the seventh reason” as presented in his introduction to the Guide by not seeing his philosophic views. In that passage, Maimonides condones misleading the masses for their greater good, even to the point of advocating contradictory ideas for different audiences and then obscuring those contradictions. Growing up in Satmar and then Brisk, I was oblivious to his non-halakhic writings and led to believe that he fully and literally believed every word he wrote in the Yad. I was exposed to his other writings only later and when I did I felt cheated. I was part of that the masses, whom he thought could not handle his unconventional approach to theology and tradition. As much as I have read about him, I personally have not managed to reconcile his two sides. I do not find Prof. Isidore Twersky’s harmonizing approach compelling or convincing. Realizing what a fool I was led me on a tortuous and circuitous search. As the Rabbis say about Yisro, חזרתי אחר כל האלהות; I explored all the options. I finally found the answer in kabbalah and chassidut, they speak a language which resonates with our current reality. They emphasize that which contemporary Judaism needs. The emphasis in chassidut on meaning and sacredness, are perfectly suited for our community. These are exactly the things our culture needs more of; holiness and meaning. This emphasis in Chassidut on immanence also generates a move towards spiritualization. 2) Spiritualization. As scholars have pointed out, chassidic teachings contain elements of spiritual psychology. They provide us with a language which helps us infuse our lives with meaning. One can point to many examples where this psychological spiritualization occurs in chassidut, I will mention two of them. Everybody sometimes has a bad hair day, when we wake up feeling less than optimal. Chassidut has a term to describe that mood; it calls it mochen de’katnus. While it technically means the same as a “bad hair day,” the language is mystical. Mochen de’katnus describes a less than stellar spiritual state, a low energy level which does not allow us to engage in the usual religious pursuits we crave to pursue. Another example is Kabbalah’s elaborate taxonomy of love and awe: Kabbalah and Chassidut talks about superior and inferior love (ahavah ela’e’e and ahavah tata’a) or superior and inferior awe (yirah ela’e’e and yira tata’a)While these terms primarily describe nuanced stages in our engagement with the Divine, they have traditionally been imported into the colloquial arena. They are used to describe varied emotional states which we experience in our interactions with our friends and loved ones. Contemporary life does not provide us with that many opportunities for encountering the Divine in our daily lives. Chassidut allows us to bring God in. Sprinkling our conversations with mystical and Chassidic terminology allows us to spiritualize our daily routines and infuse our mundane pursuits with meaning and spiritual significance. Besides enriching our personal encounters, adopting a chassidic ethos could also enhance our communal experiences. Our values are so emboldened because they derive their power from Chaissdut. A chassidic life is a spiritualized life which infuses our values with powerful theological significance, and it allows us to aggressively challenge the tradition to reevaluate its assumptions and attempt to accommodate itself-when halakhically possible- to a changed modern reality. Chassidut is very explicit about the value of religious aggression. The following two quotes are often encountered in chassidic writings, “even a thief says a prayer before he breaks in to his victim’s home” (quoted on the margin of Brachot 63A, from the Frankfurt manuscript), and “an aggressive stance towards the Divine bears results” (Sanhedrin 105A). While the provenance of these texts is Talmudic, they take on significant prominence in Chassidic theology. They become the impetus for an aggressive theology which is informed by a religiosity that sees itself driven by a Divine immanence which infuses our values and ethical intuitions with spiritual resonance, subsequently leading to radical societal change. Such change is actually an integral part of Chassidic social history. When one looks at recent major changes in traditional Jewish society it is hard not to notice that the forerunners were often Chassidim. The last sixty years have seen far reaching social and political change. The two most dramatic changes that have happened is that Jews are now sovereign and women have made significant progress in their pursuit of religious equality. The pioneers of both these changes were driven, at least in part, by a chassidic ethos. R. Menachem Mendel Schneerson, the Rebbi of Lubavitch, was one of the first orthodox scholars to champion female Talmud scholarship, while R. Avraham Yitzchak Kook, a serious student of Chassidut, was an outspoken early proponent of a Zionist state. There is no doubt that their chassidic worldview, at least partially, informed their proactive stances towards these changes. Their adherence to a spiritualized religiosity allowed them to explore new religious vistas. Their unique theological outlook changed the religious and legal equation for them, simultaneously making their decisions more complex, but also more progressive. Their spiritualized worldview allowed them to see divinity in the ostensibly secular state or the seemingly illegitimate request of women for greater equality. Granted, this hybrid of chassidic spiritualization and robust religious creativity would be a 21st century concoction, traditionally, these two do not go together. Chassidism, for the most part, frowns on change and rejects innovation. As a matter of fact, nineteenth century Hungarian Chassidim were vociferously opposed to any accommodations to modernity. Further, the contemporary thinker is not going to intuitively embrace spiritualized non-rational thought. It is, nevertheless, a match pregnant with immense potential and could go a long way towards reviving a dormant Modern Orthodoxy. Contemporary Modern Orthodoxy is struggling; a significant number of its adherents are abandoning yiddishkeit and many who stay no longer find it meaningful; inertia has set in. I suspect that Modern Orthodoxy’s rationalist ethos is partially to blame. Current Modern Orthodox theology is Litvish and hyper-Maimonidean, it lacks a native spiritual core, and does not satisfy people’s search for meaning. We are due for a change. Chassidus could be that change agent. I strongly believe that a chassidic theology combined with a sophisticated modern overlay could be the elixir for the dispassion and disinterest that ails our community. It will provide our community what it so desperately needs: a torat chaim ve’ahavt chesed; a Torah that stimulates our minds but at the same time also gladdens our neshamah. This is a guest post by a friend, who calls himself Ruvie, whose son left the practice of the religious life of Orthodoxy. The author Ruvie is now engaged in the emotional process of coming to grips with it. This post started on Facebook and has turned into a full article. I met the author a few years ago at a Yeshivat Har Etzion dinner. He lives in Manhattan and works in the financial sector. This is a family dedicated to the Jewish community but is also involved in the best of Manhattan high culture including the arts. I will comment in a separate post. Note: This post is not about parents with at-risk kids or those with restricted educations who become not religious. The individuals in my situation and observation are highly intelligent, attend academic schools, and at times top of their class- including valedictorians. 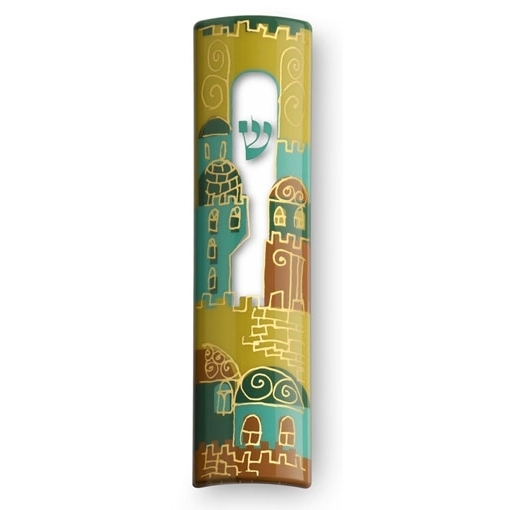 A few years ago while helping my son move into his apartment I asked if I could put up a mezuzah. He responded: Thank you, but no. Abba, it says in the klaf “u’shmartem et mitzvotai” (actually, u’shmartem et divrei elah) and I am intentionally not doing that. I am not a hypocrite. My heart sank (even though I had known for a long while that he was no longer religious). Recently, Hadassah Sabo Milner penned an important piece Losing his Relgion: Trying to be a Supportive Parentabout her reaction to her son leaving Orthodoxy and becoming not religious. These moments in time, of acknowledging the loss of a child’s observance, are very personal and reveal varied emotional responses to unexpected events in our children’s lives. No Orthodox religious parent is adequately prepared for this event even if it happens gradually. We take it personally as if it is all about us to some degree. We experience a myriad of emotions: we are hurt, devastated, sad, disappointed, and most importantly, upset that we could not transfer our system of belief and observance to our children. Although some have experienced shame, I have not. Is it the rejection or rebellion that bothers us? Is it our failure after years of education and home teachings? Or, does it hurt so much because we suspect that it is really our own fault? Is it ultimately about our own personal doubts seeping into our children? First, we need courage to process and accept the reasons that our children offer us. We do not have to agree but since we love our children we need to listen and understand. Milner, in her piece mentioned above, hits it on the head when she discusses unconditional love. To love someone doesn’t mean you approve of everything they do or that you would follow in their footsteps. It just means you love them no matter what. Each child deserves parents that are able to do this. If we raise our children to be independent thinkers and to not follow blindly are we hypocrites to be upset when they choose otherwise? Whether it is because of intellectual reasons or of finding religion no longer meaningful to them, we have to recognize that in order to find the right fit socially, intellectually, and spiritually people go through stages in their religiosity. We should widen the derech and recalibrate our success to include transmitting other Jewish values such as ethics, morals, and love of the land and people of Israel and their fellow Jews. Where I disagree with many is in defining religious behavior. For whatever reason we define being religious as keeping shabbat, kashrut, and taharat hamishpacha (family purity laws). It is too narrow. It should also include all mitzvot bein adam l’chavero as well as ethical and moral bearings. One thing is for sure- do not push your children away if they become non-religious; that would be a recipe for disaster. Do not punish yourself for their abandonment of your religion as well as religious lifestyle. Love them, be supportive of them, invite them, open your heart to them, and let them see that they have a place in your life as before. This is the unconditional love Milner was referring to: a door that is always open for communication. Many years ago I had a conversation with Rav Aharon Lichtenstein z”l about attending a relative’s Reform bar mitzvah in the Midwest. He said the days of sitting shiva for those that have left the [Orthodox] fold are long gone- it is a failed policy. He believed that today we must keep a door open and communicate to those who have left. They are all part of Am Yisrael. Rabbis, educators, and parents must understand that we may be limited in transmitting religiosity to our children. When Modern Orthodox children can be both in the Orthodox world and 80% involved in the secular/modern world (with few restrictions) why are we losing so many of them? This is not an individual problem but a communal one and needs to be addressed communally using its resources. Rabbi Shaul Robinson (Lincoln Square Synagogue) describes a workshop he held for those now religious but whose families are not. To his surprise a large number of attendees were not BTs, rather religious parents of children who are no longer religious. There is an obvious unmet need in addressing these parents who are struggling with this issue with little communal help. People have always been leaving the fold. Why are we surprised that it is also happening now? Is the current phenomenon different; is there anything unique about our contemporary attrition experience? I can understand the leaving of Satmar/Skverer with their controlling, unacceptance of independent thinking, and the fear of the “other”, when they discover a world that is not as evil as described by their parents and educators. What I do not understand is how we- Modern Orthodox- are failing so badly? We must first understand the problem, its contours and permutations. The challenge is why is this time different than years past? Or is it? Is the challenge better unanswered questions, science, theories of ancient times with more conclusive data than before? Is it a failure of leadership unwilling or incapable of dealing with the “new” modern world? Is there real data to analyze or just armchair analyses which are meaningless to a community to act upon? 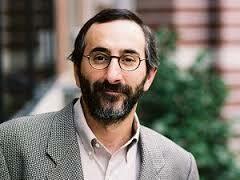 For more on the contours of the MO version of this phenomenon see Alan Brill’s post on Post-Orthodoxy. Is it any different today than it was 150 years ago or 40 years ago? Since we have no real hard data (numbers and the rate of change) it is difficult to say. The reasons and the context are always different, yet “ein bayit sh’ein sham met” (there is no house without a death). In Israel, there is a similar problem of youth leaving religion as high as 25-30%; they are called Datlash (Dati Lesheavar- formerly religious). This problem is also mirrored in other religions- see Brill’s post here. Reasons abound for becoming not religious and everyone has their own viewpoint depending where they stand and their personal agenda. I reject reasons such as it is easy for the MO to leave seamlessly, more options for Jewish identity outside religion, unanswered big questions (haven’t there always been since the beginning of modernity? ), etc. They may all be true but it doesn’t explain the pull away from being shomer mitzvot when this is easier to accomplish than ever before. In addition, these reasons do not answer why insular orthodoxy- where it’s much more difficult to leave- has the same problem. I think for most it is a combination of the religion no longer working for the individual on a personal/emotional/spiritual level and with intellectual reasoning that justifies the change (sometimes the latter precedes or creates the former). In the past, people wanted to assimilate. Today, it is not about assimilation but freedom. There are more options for Jewish identity outside religion or, alternatively, one can live comfortably as a Jew without a clear affiliation to a community. But this only creates the new terrain of the current age, not the demand to leave. I do not think the community is meeting the needs of the current generation nor its parents. I find very few rabbinical leaders to be proud of. I think I am not alone. Being MO (although I now prefer Dati or shomer mitzvot, and feel MO is a pejorative) is living with the tensions between the modern word and our religion and at times with no resolution between the two. I enjoy being religious- the continuous journey of learning- and find meaning in observance. I avidly attend shiurim- from Hasidic/Haredi rabbis to non-Jews knowledgeable in Torah. To me ideas and content are king. I live with my uneasiness about poor leadership by looking to Rav Aharon Lichtenstein z”l and others in Israel as a bright spot. In the end, we must understand and accept our children’s choices with unconditional love. On a communal level, it is more challenging and the consequences of “getting it wrong” could be disastrous. The first step towards addressing this painful topic is to start a communal conversation. Perhaps there may not be any good answers and this is our reality, but we must talk. What is a Biblical theologian as opposed to a Biblical historian? Biblical theology shows the unfolding of God’s revelation in the text and thereby “seeks to discover what the biblical writers, under divine guidance, believed, described, and taught in the context of their own times.” Prof. Benjamin D Sommer, Professor of Bible in the Department of Bible and Ancient Semitic Languages at The Jewish Theological Seminary of America is one of the few Jewish academic for whom that definition is the focus of his writing. 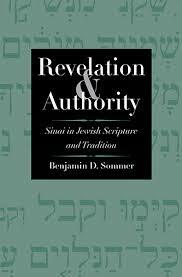 Sommer’s recent work, Revelation and Authority: Sinai in Jewish Scripture and Tradition deals with the role of revelation in the Bible and how that creates obligation within a Jewish understanding. Sommer argues for the idea of a participatory revelation, in which those who receive a divine command participate in creating the resulting sacred texts and laws- and that participatory revelation has long been accepted in Jewish tradition. And as a liberal theologian, he allows for a robust human role with the creation of the Biblical texts. Sample chapter here. Sommer also vigorously argues that one can combine academic historical study together with a sacred approach to scripture, Bible as historical artifact and Bible as scripture can be combined. Five years ago, Sommer wrote a lengthy response to James Kugel who as an Orthodox scholar believes that the two realms have to be kept separate and distinct. Kugel treats the Torah as a sacred text, to be read reverentially and approached with devotion reflecting the will of God. Much of Kugel’s career has been devoted to studying how the Bible has been read over the ages as scripture by religious communities. Yet as an academic, Kugel teaches that the academic approach to the Bible yields a Bible as a product of the Ancient Near East, full of contradictions, flawed and imperfect. In contrast, Benjamin Sommer accuses Kugel of having a bifurcated soul. Sommer argues that scholarship can and should inform religious life. The academic showing the human hand in the Biblical text does not undercut religious life, rather, it enhances it. Kugel, Sommer claims, does his readers a disservice by insisting that one cannot treat the Bible as an artifact and as sacred scripture at the same time. Sommer also rejects Rosenzweig’s overriding concern with the scriptural and devotional and his downplaying the relevance of the historical. Sommer does follow Rosenzweig in rejecting verbal revelation, but unlike Rosenzweig he uses in defense of his argument against verbal revelation, a moral argument that the Bible seems immoral in parts and in other parts the personality of God is capricious or immoral, so those parts must reflect a human element and a human hand. Sommer also rejects the approaches of treating the Bible metaphorically or as an accommodation to the times, even when such approaches are already found in the Talmud. 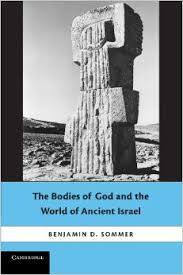 Six years ago, Sommer wrote a widely received work The Bodies of God and the World of Ancient Israel (Cambridge University Press, 2009) discussing the role of God’s body in the conceptions of the Biblical authors. (Reviews of the book are available here.) Hence, while I was in India, I found myself in email contact with him in that he had presented a paper at a conference comparing Vedic Hinduism to the Bible and I wanted to ask him a few questions. This blog has covered some basics in contemporary criticism such as David Carr, and then I posted a wide gamut of Orthodox approaches to deal with the problems of Biblical history including James Kugel, Joshua Berman, Tamar Ross, Sam Fleishacker and Jacob Wright, now we look at the topic from a liberal perspective. Hence- Warning: Orthodox reader discretion is advised. This interview contains ideas that are from the perspective of liberal religion (which may be unsuitable for some Orthodox readers). Secular Warning- this interview contains revelation by God, an event at Sinai, binding mizvot, and a God’s ongoing guidance (which may be unsuitable for some new-atheists who went from one extreme to the other). Sommer, is similar to Zechariah Frankel, in that the Oral law, and much of Biblical law, is not directly from Sinai; similar to Franz Rosenzweig, in that revelation was not in words or statements; and similar to Louis Jacobs in that historical criticism needs to be integrated within the synagogue and scriptural reading of the Bible. Prof. Sommer offers a fine window in the world of a liberal Jewish thinker and Biblical scholar of the 21st century. This is a very long interview that you may want to print out. Note: Comments have died a natural death. Tablet and Forward have basically removed comments and most blogs no longer have lively comment conversations. However, discussion of blogs is still robust but has traveled to social media. Most of my posts get 400-500 Facebook comments so posting a stray comment here is now out of discussion, without respondents, and out of context. This may be only a beginning. Let’s wait and see the many other changes there will be in social media in another six years. 1)	What is the tension of Bible as scripture and as artifact? For religious people — both Jews and Christians — the Bible is scripture, not just another fascinating ancient book. The Bible relates to religious Jews and Christians at an existential level; its teachings demand a response, and not just a response on the level of the intellect, but a response involving actions, belief, self-definition and participation in a community. Religious people view the Bible as connected to a divine source in one way or another. For some people, that connection is more direct, and in the minds of others, it is circuitous. But the fact of the connection makes the Bible holy, different from other great texts. People who regard the Bible as a cultural artifact, on the other hand, look at it the way they would look at any collection of ancient texts. It is an anthology of Northwest Semitic texts from the Iron Age and shortly thereafter. These texts furnish insight into a particular culture that existed near the eastern edge of Mediterranean over the course of several centuries. This anthology called the Hebrew Bible is interesting for the same reasons that any cultural expression produced by human beings is interesting: because it contains attempts by human beings to explore fundamental questions. Further, it has a central role in Western culture, in Judaism, and in Christianity. Thus a humanistic thinker, a student of Western culture may find the Hebrew Bible to be of vital concern without, however, regarding it as scripture: that is, without attributing to it some ontological status or connection with God that differentiates it from other cultural artifacts. To my mind, the core project of modern biblical criticism — and by that term I mean academic biblical scholarship going back to the 18th century, and really even back to Hobbes and Spinoza in the 17th century — has been to read the Bible as an artifact within its own cultural world. Some, though not all, biblical critics have assumed that to read it as artifact precludes reading it as scripture. Others have attempted to do both, whether simultaneously or serially. A core question of my own work has been to examine the tensions between these two approaches and to ask whether that tension is inevitable or not. 2)	Why do you reject those who think the two approaches of historical artifact and scripture are mutually exclusive? There are two reasons I reject the assumption that it is impossible to read the Bible as both artifact and scripture. First, empirically speaking, it’s just not true that one can’t do both at the same time. It is possible to read the Bible as an anthology of Northwest Semitic writings that presents us with certain teachings; contemporary religious communities can use those teachings to draw themselves closer to God, to each other, and to God’s will. Using modern critical tools such as history and philology to understand the Bible’s teachings doesn’t somehow render those teachings irrelevant to religion; using those tools simply means that I am able to get much closer to understanding biblical texts and their teachings the way their first audiences understood them. Why understanding the Bible more deeply and more authentically on its own terms should be thought inimical to accepting the Bible as sacred is utterly beyond me. I really disagree with Rosenzweig in his emphasis on reading scripture as a scriptural unity paying short shrift to the artifact reading. Second, for me as religious Jew, it seems inauthentic to separate what I know about the Bible intellectually from the ways I employ it religiously. It will not do to read the Bible serially, sometimes as artifact and at other times as scripture. Such a choice would require one to partition oneself, so that one has a secular mind and a religious soul co-existing uneasily in a single body but not communicating with each other. The Shema commands us to serve God with all our mind, with all that makes us alive, with all that we are (Deuteromomy 6.5). A person whose intellect believes that biblical criticism makes valid claims but whose religious self pretends otherwise renders service to God that this verse regards as fragmented and defective. An intellectually honest modern person convinced by a particular theory about the Bible must read the Bible in a way that integrates that knowledge. Let me say something more about why it is religiously imperative to read the Bible in its own cultural context as an ancient Near Eastern anthology. We Jews have always conducted dialogues with our sacred texts; this dialogical aspect of sacred study has become especially important for modern liberal Jews. Now, if I am going to have a dialogue with anyone, I need to keep in mind that mine is not the only voice in the dialogue. I need to be quiet for a while so that I can listen to the dialogue partner, and only after I really hear what the other is saying can I begin to respond. It can be hard sometimes, when you’re really passionate about something, to be quiet long enough to hear the other. That’s the case when we’re dealing with the voice of another person from our own culture, but it’s even harder when the voice comes not from a living person but from a text, and not from a contemporary text but one that took shape twenty-five or more centuries ago. To hear biblical texts speaking in their own voices, I need to know how texts worked in the ancient Near East: I need to know, first of all, the grammar and syntax of biblical Hebrew and Aramaic, and the ways these texts produced and conveyed meaning. In order to know all that, I need to understand the world that produced the Bible and how the texts were created there, how scribes composed the texts in the Bible, transmitted them, read them or chanted them to their audiences, and how those audiences were likely to have heard them. And that’s what biblical criticism allows me to do. Fundamentally, we biblical critics attempt to help biblical texts speak to us in their own voice and not in a voice that we impose on them. What this means is that biblical criticism is all about a core religious value: humility. It’s incredibly easy for religious people just to impose their own values onto a sacred text. That happens all the time, both on the religious right and the religious left. 3)	Why do you reject God speaking in direct words since it is equally problematic for God to reveal imperatives in words or without? Following many modern theologians, I tend to think that there is something limiting in having the Master of the Universe become bounded by the confines of human language; surely God can communicate in vessels more subtle, more complex, and less frail than words. Granted, an omnipotent God can communicate however God wants to communicate, and words are one option. But the more ambiguous media that some biblical texts imply underlie the reports of revelation have a variety of advantages. A non-verbal revelation forces the human recipient to be active, to enter into the process of creating torah, in the sense of teaching or guidance. And as my friend, the outstanding Catholic scholar Gary Anderson, put it when he summarized my approach, revelation conceived this way puts a premium on human agency; thus it gives witness to the grandeur of a God who accomplishes a providential task through the free will of human subjects under God’s authority. There is another reason that I just cannot believe that all of the Pentateuch’s words come directly and literally from heaven. There are biblical passages that cannot be reconciled with a God who is merciful or just, much less a deity who is both. The Bible sometimes appears to be all too human not simply because it has trouble deciding whether Noah took two or seven of the clean animals onto the ark, but more importantly because it describes a God who sweeps away the innocent along with the guilty–if not in the Noah story (which tells us that all humans other than Noah were blameworthy), then surely in the exodus narrative, in which God slays first-born Egyptians who had no say in Pharaoh’s labor policies. Even more disturbingly, the Bible commands Jews, if only in a few specific cases, to imitate God in disregarding both justice and mercy: all Amalekites, even children, are to be slaughtered (Deuteronomy 25.17-19); genocide or expulsion is the fate of all Canaanites who do not submit to Israel (for example, Deuteronomy 7 and 20). It helps only a little that rabbinic commentators through the ages have ruled that the laws regarding Canaanites applied only to the time of Joshua and not in perpetuity, so that nobody living after Joshua’s era has the right, much less the obligation, to apply them to anyone at all. (I’m thinking here, for example, of m. Yadaim 4:4, t. Qiddushin 5:6, b. Berakhot 28a, b. Yoma 54a; Maimonides, Mishneh Torah, “Laws of Kings,” 5:4.) The law, even if no longer applicable, is still there. Similarly, I receive only a little comfort from the suggestion that these laws don’t mean what they seem to mean but are to be construed metaphorically. (The Talmud proposes this idea when it grapples with the disturbing law in Deuteronomy 21.18-21 that allows parents to execute a rebellious son. In b. Sanhedrin 71a and t. Sanhedrin 11:2, the rabbis maintain that this law is in the Torah only so that we can receive a reward for interpreting it away.) This well-known teaching does not fully solve the moral problem that passages such as these raise. The fact remains that the Torah at the very least gives the appearance of encouraging cruelty and injustice in these verses (or, in the case of the Canaanites, the Bible appears to have done so for a single generation). These texts diminish my ability to accept the notion that the Torah in its entirety was composed by God: a just and merciful God would not write a Torah that seems unjust, even in a small number of passages, even on a surface level. I can understand how non-verbal commands from a just and merciful God were in rare cases misunderstood; I can’t understand how the words in those specific verses came literally and directly from God. By acknowledging that the Bible combines human and divine elements, that it contains human reactions to non-verbal divine commands — that is, by adopting the view of revelation found in the writings of Franz Rosenzweig and Abraham Joshua Heschel — I can continue seeing the Bible as scripture, and not only as artifact. There really was an event at Mount Sinai that involved all Israel, and Sinai is not just a metaphor. However, it is scripture not because all its words came from heaven, but because it contains the nation Israel’s response to God’s real but non-verbal commands that came to Israel at Sinai. 4)	Do you define yourself as liberal theologian? I define myself as a liberal theologian, because my work on revelation is nothing more than a long footnote to the work of liberal theologians like Heschel, Rosenzweig, and Louis Jacobs, and in other respects a footnote to Solomon Schechter and Zechariah Frankel. But the term liberal might be misleading in reference these thinkers and to me, because, thinkers of this school (myself included) embrace a robust notion of halakhic obligation. I believe that a divine command is at the core of the revelation at Sinai. Of course, there have been diverse articulations of that command in human language; we see this diversity not only in differences of Jewish law within rabbinic tradition over time, but already in the Bible itself, as J, E, P, and D disagree on many specifics of the law. But the centrality of the command remains through all these differences. Consequently, it seems to me that no authentic Jewish response to revelation can dispense with the observance of a law. 5)	Is there a serious difference in practice between Biblical practices and also with Rabbinic conceptions? Do you mean do I acknowledge that there were serious differences in ritual practice between them? Of course. There were serious differences of ritual practice between D and P. Within the priestly schools, there were some important differences between the older Priestly Torah and the new Holiness texts. Qal vachomer there major differences between the various ancient Israelite and Judean practices of the first millennium BCE reflected in the Bible and the first millennium CE practices reflected in tannaitic and amoraic texts. But I think that many modern scholars have overstated the innovative nature of the rabbis, and there are surely areas of great continuity between biblical and rabbinic Judaisms, even if there are also areas of difference. There were many temples prior to the time of King Josiah, and these temples were probably not identical in their practices (different Levitical and priestly families or groups were in charge of different temples, and they all probably had their own practices), and because even at one temple like the Jerusalem Temple practices probably changed over time. (Thus the influx of northern refugees, including northern Levites, after 722 probably influenced the cult at the Jerusalem temple, as did the smaller but deeply influential influx of southern Levites at the times of the reforms of Hezekiah and Josiah.) There were differences in ritual practice between D and P. Within the priestly schools, there were some important differences between the older Priestly Torah and the new Holiness texts. But all these schools held core practices and beliefs in common, for instance, the centrality of the covenant between God and Israel and some form of monotheism. 6)	Is you view Biblicalcentric? I do not see much Talmudic or halakhic thinking? Actually, my view is not biblical-centric at all; quite the contrary. By suggesting that the Bible contains human and divine elements, and that the Bible is to some degree fallible because of the human elements, I am saying that the Bible is very similar to the Talmud and later halakhic literature. My view of the Bible, even the Pentateuch, as a human response to God’s real commands at Sinai, implies something that is the very opposite of a biblical-centric approach: it implies that there is no Written Torah; there is only Oral Torah, which starts with Genesis 1.1. Given the centrality of the doctrine of two Torahs in rabbinic religion, this conclusion may seem shocking. In the fourth chapter of my book I propose that it need not be. 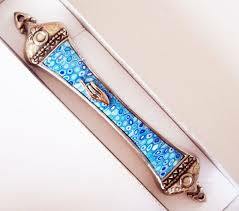 Many of the rabbinic texts that introduce the distinction between Written and Oral Torahs also subvert it. They teach that all torah, whether from the Pentateuch or midrash or repeated oral traditions or discussions of them are a unity (see, e.g., Sifre Deuteronomy §306); that the original or default value of all torah was Oral Torah and that some parts became Written Torah subsequently and for contingent, non-essential reasons (see Shemot Rabbah §47 and its many parallels in other midrashic collections and the Yerushalmi, as well as b. Gittin 60a and its parallels); that Oral Torah is more beloved than and takes precedence over the Written (y. Peah 4a [2:6] and its many parallels). Consequently, I think rabbinic Jews may legitimately regard the Bible as but one manifestation of Oral Torah. The sort of theology I put forward teaches that God’s will comes to the Jewish people through a tradition that includes but is not limited to the Bible. Jews are perfectly capable of accepting the authority of the mizvot even while realizing that its specific verbal formulations in the Talmud and the law codes were crafted by fellow humans. As Rosenzweig put it, the command, in the abstract, really comes from God; but the specific laws through which we fulfill the divine command from Sinai are formulated by the nation Israel over the generations. To be sure, people brought up on the theory that every word of the Pentateuch was written by God often suffer a wrenching loss if they become convinced that the Pentateuch includes, or consists entirely of, human words. The adherent of what we might call the stenographic theory of revelation might object to the theory I am putting forth: “Yes, the laws we observe involve human formulations; yes, they were debated in the Talmuds and are laid out in the medieval and modern law codes. But these human formulations are based on and exegetically derived from a genuinely heavenly text; they are rooted in God’s own words.” To this I respond: the idea of revelation I suggest entails essentially the same structure of thought, and it merely pushes the heavenly origin back by a single step. Instead of an earthly Talmudic law based on a heavenly Pentateuch, I believe in an earthly Talmudic law based on an earthly Pentateuch that is in turn based on a genuinely heavenly but non-verbal command. In either theory, Jewish law as we practice it ultimately but imperfectly reflects a divine revelation. The loss involved in recognizing that even the Pentateuch is Oral Torah is less momentous than one initially assumes. But the gains that follow from acknowledging the human and thus at times flawed nature of the Pentateuch are considerable. A flawed scripture shouldn’t surprise or upset religious Jews so much, because religious Jews have long had a category of sacred and authoritative literature that is to some degree human and imperfect: the Oral Torah. So I am not just demoting the Tanakh when I say it’s Oral Torah. I am preserving it as scripture, and not just historical artifact. 7)	If the Bible is a 6th-century Assyrian period work (and possibly even more recent), how can it be used as a record of anything? Biblical texts crystallized over a period of many centuries, but the bulk of the Bible was probably written in the period from the eighth through the fifth centuries. What was written down at any point, however, usually included material that had been passed down in one form or another for a long time previously, and what was written down sometime continued to be altered, added to, or combined with related texts. One cannot say that the Bible dates specifically to any one period. But you’re right that some biblical texts describe events, such as the exodus, that almost certainly happened long before the texts describing them took the shape in which we know them. In the case of the exodus, there are quite a number of elements of the late Bronze Age or New King-dom Egypt that the Bible gets right in ways that were highly unlikely or just impossible for writ-ers in the Iron Age, and this strongly suggests that even though the accounts of the exodus in the Bible were written centuries after the events, they preserve some genuine historical memories. My friend Josh Berman from Bar Ilan University discussed this issue in Mosaic recently, and I wrote a reaction to Josh’s excellent piece there. 8)	If someone said to you that Biblical criticism is a speculative field with no clear proofs or evidence, what do you say? I would say yes: biblical criticism is a humanistic discourse, and like all fields in the humanities, it doesn’t achieve or aspire to the sort of empirical evidence you get in the hard sciences or the clear proofs you get in geometry. It is, as you say, a speculative field, just like history or comparative literature or most branches of philosophy. But that doesn’t mean that anything goes; evidence and reasoning, carefully applied, provide us with more likely conclusions and less likely conclusions and conclusion that, examined carefully, turn out to be just bunk. New evidence (such as the Dead Sea scrolls, or the discovery of Canaanite myths, poetry, ritual texts at Ugarit and elsewhere) can disprove some theories or bolster others. The great German biblical critic Julius Wellhausen argued in the 1880’s that the P document of the Pentateuch (which includes, among other texts, all of Vayiqra) was written very late in Ju-dah’s history, during the exilic period. He had a number of arguments on behalf of this dating, one of which was that P presents us with complex classes and subclasses of sacrificial rituals, and he thought that this complexity must have resulted from a long evolutionary process. When archaeologists found texts that describe Canaanite and Phoenician sacrifices, it turned out that similarly complex classifications of sacrifices existed among Israel’s neighbors, and they used some of the exact same terms as Vayiqra to describe them. So we now know that even before the Israelites settled in Canaan rituals as complex as those found in Vayiqra existed. Thus we have empirical evidence that at least that one part of Wellhausen’s reasoning doesn’t hold water. When a given hypothesis explains a very great deal of data (which is the case, for example, with some versions of the Documentary Hypothesis), that hypothesis comes to be appreciated as more and more likely. But it’s the humanities, so it’s likely to remain a hypothesis. Humans are not computers, and hence the humanities will always remain a wonderful realm of speculation and interpretation, not an area with defined inputs and unquestionable outputs. 9)	In your earlier work, you show that God in the Bible had various bodies. Is that useful for the 21st century? In The Bodies of God, I uncover a debate among biblical authors regarding God’s body. It’s not a debate between those who think God has a body and those who don’t; until Saadiah, all Jewish thinkers, biblical and post-biblical, agreed that God, like anything real in the universe, has a body. Rather, it was a debate between those (like J and E) who thought that God has many bodies and those (like P and D) who thought that God has only one body. Now, in recovering this ancient Israelite debate, I do not mean to suggest that a Jew must believe that God literally has at least one body, that God is (as J and E believed) physically present in this rock or that bush, and not in some other one. Rather, I insist that the J and E texts are still torah, still guiding voices that have something to teach religious Jews. They help me to realize how uncanny, strange, incomprehensible, yet nearby, or potentially nearby, the God of Judaism is. 10)	How do you reject the Jewish philosophic tradition by returning to a god with a body? What I am doing in that book as a theologian is not so much rejecting Saadia and Rambam but recovering and embracing a side of biblical thought that leads to kabbalah, just as the D authors lead towards Rambam. Torah in its broad sense (by which I mean the traditions of Catholic Israel through all the generations) has been a long discussion and debate about the nature of God, Israel, the world, and the relations among them. What I am trying to do as a biblical theologian is to restore the varied voices of the biblical authors to that debate and to show the continuities between various biblical authors and later Jewish thinkers: D and Rambam on the nature of God, E and Heschel on the nature of revelation, P and Elliott Dorff on the evolution of Jewish law. In this theological model, modern Jews will turn to the Bible for the same reasons they turn to rabbinic literature: not with the expectation that it always gives me statements that convey accurate knowledge but with the knowledge that it constitutes the beginning of a discussion. For Jewish theology, specific propositions are of less import than the process of discussing these propositions. The discussion itself is sacred, is a form of worship. For that discussion to be the fullest Jewish discussion it can be, should include Israel’s earliest voices. This does not mean that a religious Jew must accept everything the Bible says as true (any more than it means we should accept Rambam’s physics), but it does mean that everything the Bible says must be considered and demands a response. The Bible, like the Mishnah or The Guide of the Perplexed or The Star of Redemption, is torah, guidance. These works point us in specific directions, but they are not sources of dogma. Indeed, they cannot be, since they present so many mutually exclusive ideas. As a Jewish biblical theologian, I devote attention to the whole of Jewish thought, including but not limited to the Bible. My project is to notice elements of conversation and continuity that go beyond the artificial boundaries that the various anthologizers over the ages have created. 11)	Does your approach of portraying the biblical God as having several bodies bring Judaism closer to Hinduism? The classical Hindu idea of an avatara provides an apt word for describing how J and E perceive divine embodiment. Those parts of the Pentateuch, along with a number of other biblical texts, sometimes use the word מלאך to refer not to an angel, a messenger who is on a mission from God, but to a small-scale manifestation of God. The מלאך ה’ in this sense is not sent by God but actually is God, just not all of God; this מלאך is a smaller, more approachable, more user-friendly aspect of the cosmic deity who is Hashem. That idea is very similar to what the term avatara conveys in Sanskrit. So in this respect, we can see a significant overlap between Hindu theology and one biblical theology. But P and D completely reject the idea that God can become manifest on earth in a partial form. Further, there are philosophical trends in Hinduism that use the idea of avataras to make what amounts to a monotheistic argument: these trends regard all gods and goddesses as manifesta-tions of one ultimate deity or force. Still, even in J and E we don’t quite see that sort of theology. Neither J nor E would regard Marduk or Ashur or Zeus or Ishtar as a manifestation of Hashem, as the same being as Hashem in some smaller or more local form. So I think these trends in Hindu monotheism are different from any form of biblical monotheism.